Onico is made of selected plant fibers. The blend of plant material used varies depending on the flavor. Like most snus brands, there are different flavors available, all with their own distinct blend of fibers. Since Onico caters to a health-conscious crowd, additives are kept to a minimum. All the substances used for flavoring are approved for use in food, making the snus both tasty and safe. While the „snus“ does contain sugar, there is no added sugar and all sugar contained occurs naturally in the plants Onico is derived from. 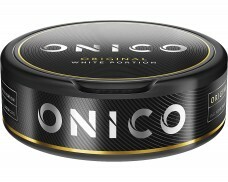 While the „snus“ is not made of tobacco, it imitates the taste of tobacco-based snus surprisingly well and will be a delight for anyone trying to quit tobacco. With nicotine being a stimulant, Onico also makes for a good portion to be used at night to avoid nicotine-induced insomnia. The most traditional variation is Onico Original White Portion, which imitates a classic white portion snus, promising flavors of bergamot and citrus like some traditional snus blends. Naturally, the flavored fibers don’t produce an intense tobacco flavor, but manage to imitate a mellow version of it. 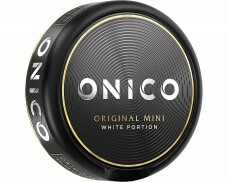 Onico White Mini Portion offers smaller snus pouches of the „Original“ version of the imitation snus. The smaller pouches allow for inconspicuous use and a comfortable fit in any mouth, so that they can be used anytime, anywhere. 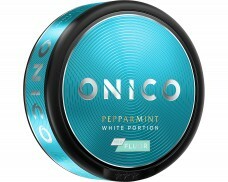 Onico Peppermint White Portion imitates the popular mint flavor, offers a refreshing kick and releases a cooling sensation. 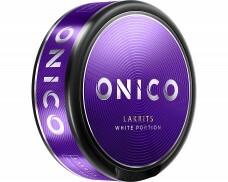 Onico Licorice White Portion offers a great alternative to snus for those who enjoy anis and licorice. 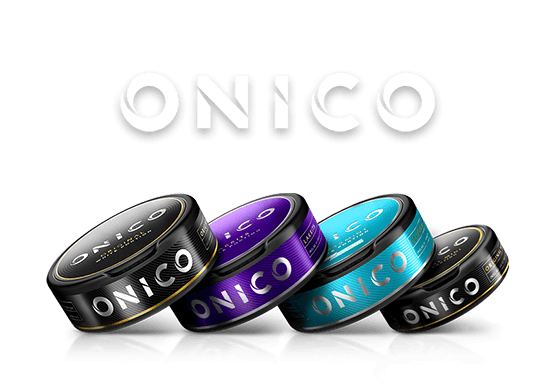 Over all, Onico is a „snus“ made for all those who want to kick the habit, reduce their nicotine intake or quit tobacco for other reasons.